Visitor to Chanthaburi shouldn’t miss the chance to visit the Shrine of King Taksin, one of the great kings of Thailand and ruler of the Thonburi Kingdom in the 18th Century, who is revered for liberating Siam from the Burmese invaders after the second fall of Ayutthaya. 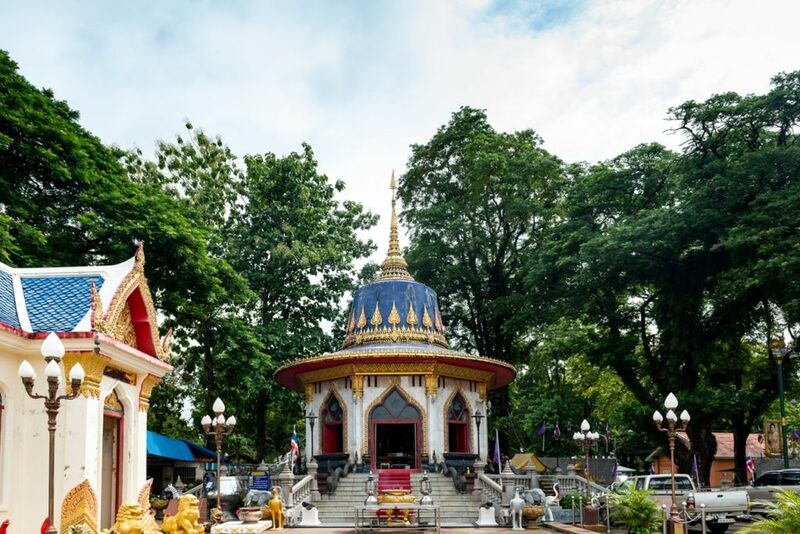 The shrine is located in front of Camp Taksin on the Tha Luang Road in Chanthaburi, less than 50 minutes by car from Chatrium Golf Resort Soi Dao Chanthaburi. The building housing the shrine is in a nonagon shape with a hat-like roof and was constructed so the people of Chanthaburi and the surrounding provinces could pay homage to this great man and wish for good luck. At first the shrine was a simple wooden affair next to the City Pillar Shrine until 1920 when M.C. Saritdet Chayangkul, the intendant of Chanthaburi Province, had a new shrine built in its current location. The rectangular shrine was made of concrete with four gable ends and three flights of stairs, one on the front and two on the sides, and was designed by the Department of Fine Arts. Inside the shrine a statue of King Taksin’s personal deity was housed but there was no statue of the king himself as there is today. 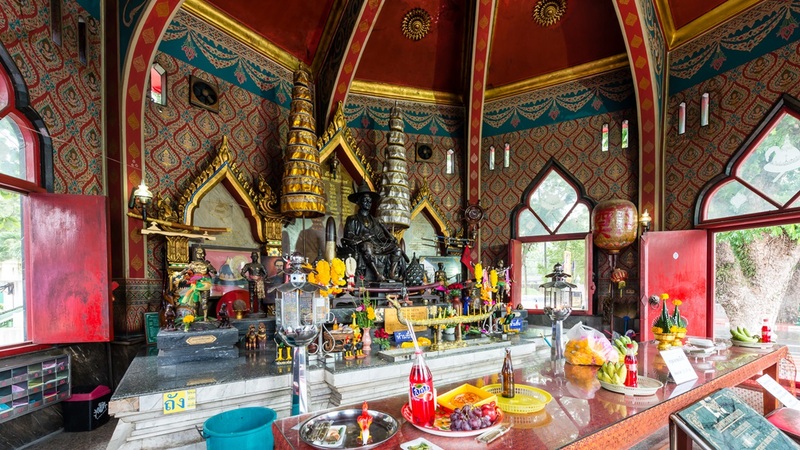 In 1991 local government officials, business people and the residents of Chanthaburi Province raised money to build a new shrine adjacent to the old one. The current shrine is made from marble with a height of nearly 17 meters with the top being adorned with a gilded pattern and featuring a nine-tiered gold umbrella. Inside the shrine itself stands a statue of King Taksin cast in blackened brass with the king in the pose of governing the country and the walls are elegantly painted in a rice grain-shaped design. Every year on December 28th, the date of King Taksin’s ascension to the throne, celebrations are held at the shrine to make merit, give food offerings to local monks and make donations. The celebrations are held to commemorate King Taksin’s grace and strength in restoring independence to the Kingdom of Thailand. Entrance to the shrine is free of charge to allow visitors to pay homage to this great king and experience a fascinating and important part of Thai history.